Before they start….let me tell how it ends! I read many blogs and other publications about where teams will finish at the end of the season. Many call the baseball season a marathon and that is a good description. 162 games spanning seven months and close to eight if your team is winning it all. Throw in the spring training and we have a nine month journey. Pacing one’s self is necessary.Since Boston and the 2009 World Champion Yankees are kicking this race off tomorrow, I thought it would be fun to look at the past Boston and NYC Marathon winners to see if there are patterns that can help me in predicting the winner of the 2010 baseball season. In recent history for the Boston Marathon, if you were male and from Kenya, you won 16 of the last 20 years. If you were from Kenya and your name was Robert Kipkoech Cheruiyot, you won 4 of the last 7 years. If you were female and from Kenya, you won 7 of the last 10 years. If you were female and your name was Catherine Ndereba from Kenya, you won 4 of those 7 times. For wheelchair marathon participants, winning 8 of the last 9 years from South Africa was Ernst Van Dyk for the men and for the women the last three years was Wakako Tsuchida from Japan. For NYC, the marathon results tell not so clear a dynastic story. In the men’s division Martin Lel from Kenya had won twice in the last 7 years. Marilson Domes del Santos from Brazil had won twice in the last four years. In the woman’s division, both Paula Radcliffe from Great Britain and Jelena Prokopcuka from Latvia had won twice in the last five years. In the wheelchair division for the men, Kurt Fearnley from Australia has won the last four years and Edith Hunkeler from Switzerland won 5 of the last 6 years for the wheelchair woman’s division. With dynasties and rivalries also present for marathons in these two cities as I have tried to show presently, I will now try to predict the winners of the 162 game baseball marathon and playoffs. My mantra for picking the winners this year is pitching and defense win the championship. With a rotation that has a proven ace in Josh Beckett, a ready-to-be ace in Jon Lester, a former ace of the Angels in John Lackey, a former ace of Japan in Daisuke Matsuzaka and arguably a future ace in Clay Buchholz along with a formidable bullpen that ends with Papelbon along with defensive improvements with the additions of Adrian Beltre, Mike Cameron and Marco Scutaro, this team will be hard for the Yankees and Rays to beat. Add this to the lineup of Ortiz, Martinez, Youkilis and Pedroia and this seems like a team ready to win again. The team I like the best this year as painful as it is to say this in terms of pitching and defense is the Chicago White Sox. I can remember when I would like San Diego to win with Peavy alone while not knowing anyone else on the team. Now he is on a team that has the best depth in the AL Central. The fact that Peavy, former ace of San Diego leads a staff with Mark Buehrle, Gavin Floyd, John Danks and Freddy Garcia, former ace of Seattle spells depth. The bullpen has Bobby Jenks as the closer and former closers Scott Linebrink (Padres) and J.J. Putz (Mariners). The reason I do not like the Twins here is the loss of their All-Star closer in Nathan and the loss of their “dome field advantage” Outdoors is not where I like the Twins to flourish this year. When I see the Phillies, I see Roy Halladay and Cole Hamels leading a staff and team that wants to return. This being said, the Braves are going to be a team to reckon with because if enough of the Braves players want to win one to send the old man to retirement with, look out! They have a team that can do it. Still I think that the defending National League champs have a mission in mind. It is sort of this “until they are beat, give them the prize” mentality. They have the proven offense and aces to win a lot of games. What holds me back from saying it is a sure thing is the fact that Lidge is listed on the DL.This worries me. Okay, take the offense of the Dodgers along with their closer. The starters just do not excite me so much. The starters of the Giants are the deepest rotation with a competitive pop in the offense and one never knows. The Rockies have a formidable rotation, good offense and better bullpen so perhaps they can regain the edge to be on top. This is a tough division to choose for me. I like the Giants with their pitching and defense slightly ahead of the Rockies to pull it out in the end. When you have two of the best sluggers, an outstanding ace and a formidable bullpen in a division where a team that has a curse over its state of mind, one can say that your chances of repeating as division winners are good. I like the Cardinals to win in this division simply because I think they are the most balanced of all the divisional teams. I think of the teams remaining, one has to think that the team with the best pitching and defense of the rest of the teams is between the Rays and the Yankees. I like the Yankees simply because of their ability to be consistent. Experience and consistency does well in marathons. Give this one to the Yankees! I always wonder when age will catch up with the Yankees. I won’t be disappointed if the Rays regain the Wildcard. I just think it is easier to give a current world champion their due. At this point in the season, I like the Braves to regain the Wildcard but I will not be surprised to see a team like the Rockies and Dodgers here either. I’ll give it to the Braves just because it makes for a great story! l like their overall team better than all the rest that are not division winners at this time. The rotation and overall team is the strongest of the teams remaining. What a fitting tribute to have Bobby Cox go into the playoffs one more time. Don’t ask me anything about the playoffs because the teams have to get there first! After all, I plan to be watching them without my favorite team there once again. Enjoy the season, everyone! By the way, I think it is brilliantly ironic that the season starts on Easter this year. After all, every baseball fan holds a miracle of hope that somehow their team will rise up and become the champion they want them to be! Another day in the AL East neighborhood. We are coming off beating the Rays 4 games and 17 games at Progressive Field since 2005. Woohoo, I am dreaming of being out of the cellar and back to .500. Hold on what’s this. Me: Oh great! You again! The big bad bully from the dark side! Yankees: Yeah its me. I take the players I want when I want. I took your former ace and now your team suffers for it sitting there in last place trying to survive. Yankees: I will take Grady, Ryan Garko, Cliff Lee and any other star I feel is worthy to fit the Yankees because that is what I do! I would buy your team if I could and move them back to New Jersey if I could and leave you with nothing. After all I plan to do this with LeBron in 2010. Me: You, you bully you. Why do you hate Cleveland so? Yankees: You Clevelanders don’t know how to win when it counts. I do, 26 times, make it 27 after this year! Ha! Ha! You can’t even win with LeBron, the greatest athlete you have left. Still I hate you because you ruined my party and beat me up on Opening Day in my new pad. You send bugs to make me fire a great man like Joe Torre. You caused Joe D. to end his 56 game hitting streak. I will not have this from you or your team. You embarrass me. Now bend over and take your whipping! Me: We have pride and will fight you to the death, you bully. By the way LeBron still is alive until Saturday, at least. As long as we have a pulse, there is still hope. Yankees: Fine then I will send you the best bought talent ever and force you to submit and lose. After alI, I have Mark Texieria, Derek Jeter, A-Roid, I mean Alex Rodriguez, CC, your best pitcher for several years, Joba. Also Posada is back. Robinson Crusoe, I mean Cano, and Hideki Matsui, just to name a few. Tonight I will send Andy Pettitte to give you your first loss. Now get on that basement floor and like it. Me: How about I just meet you at Progressive Field and fight you with my team? Yankees: Fine, we will see you at 7 p.m. and try to blow you out by 7:30. You will have no chance. After all, I have all the benjamins and lumber and arms to make quick work of you. Me: Mr. Cliff Lee, its on you tonight. I hope you and the rest of Cleveland can win tonight. The Yankees think they can just walk into here and beat us to a pulp. Let’s support Cliff, offense and strike first. Beat these self-proclamed prima donnas who always think they are entitled. Respect is earned when it is given. (I have to remind myself of this.) PLAY HARD! RESPECT the Yankees’ talent, yet win anyway! EARN SOME, starting TONIGHT! Just when I thought about writing about a guaranteed split, I saw and heard HOMER X 5. I understand with the history of the Yankees, the homerun is inevitable. However to allow five of them today all to right field was excruciatingly frustrating. Babe Ruth would have been proud today after hearing Michael Kay say “SEE YA” over and over and over and over and over again. I have seen parts of this bullpen in years past when they are at their best. They do best when they keep the ball down. Today however I was wondering if the Yankees were getting some deal on frequent flyer miles. 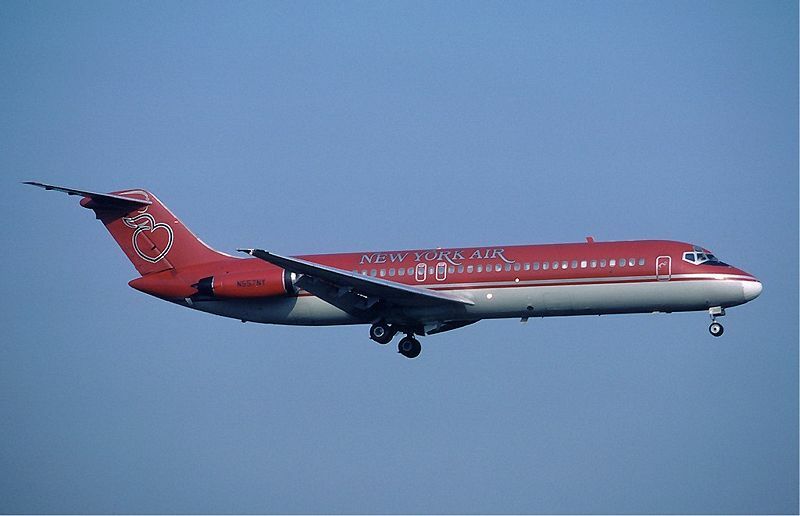 New York Air is now a part of Continental Airlines since 1987. Still I think you get the picture. Still I wonder and pose this question. Since this day was unofficially “I want to be like Babe Ruth” Day at Yankee Stadium and the Indians were giving away free tryouts for “Who wants to be the Babe?” I wonder which one most resembled him the most? I hope this does not continue with Fausto. For those that read my blog for which I am continuously thankful, I dedicate this entry to all of you. Here is an example of a daily log that I encountered at my work site. 12:30 Right before gametime, I am approached by various visitors to the building along with some co-workers who advise me to not get so excited about the Tribe, dump them at the curb for the 2-7 team that they are and join the cheers for LeBron James and the Cavalier bandwagon. 12:35 As much as I am happy for the city and the chance for a major sports title for this city since 1964, I politely decline the invitation and say my favorite sport is baseball and I cannot be a front runner especially since the superstar LeBron James does this in Cleveland. 12:36 I continue to reflect and just cannot cheer for a Yankee fan or player. Don’t get me wrong! I respect all players and fans and want them to be able to express their opinions freely. Still I cannot cheer for a Yankee! In my stadium, this is a sign of disrespect toward my neighbors and friends and fellow followers and fans of the Tribe. Approx. 13:05 I now hear on my radio that I am allowed to use that CC is about to throw out the first pitch, It is awfully weird hearing CC as a Yankee. Approx. 1400 I walk away from the radio all together due to the Tribe’s poor 2-7 start and thoughts of Joe Borowski blowing a save to A-Rod. Time to turn to prayer. When I return to the desk area, I hear that the score is 1-0 Tribe, thanks to Kelly Shoppach. Approx 1500 Right before I am able to depart, the game is tied thanks to a homerun by Jorge Posada. Approx. 1510 I arrive in my car and turn the radio on and off as soon as I hear the Tribe threatening to score focusing on prayer as a way to center me and keep me grounded and humbled by the opportunity to be a fan of the Tribe. Approx 1530 I receive a call from my wife wanting me to make dinner plans. I turn my focus to this and forget to watch the game. When I return I am able to see Grady Sizemore hit a grand slam making the score 9-1 in favor of the good guys. Not concerned about time anymore, I see Victor Martinez hit one immediately after Grady making the score 10-1. The final score was 10-2 as all of you readers know. At 3-7, we cannot cancel out the importance of staying focused on the game at hand. We must place our focuses on this man and go at it once again later today. Let’s not lose this momentum. The Yanks are one tough team. We must continue to fight the good fight and follow the example of this Biblical king. Keep up the great effort! The AL East will be the toughest division in 2009 to predict. At least three quality teams will be fighting for two playoff slots. The result will find perhaps the third best team on paper out of the playoffs altogether in October. That being said, these picks could go any way depending on which group of fans you ask. It is my strong belief that the season may end before May 1st for the Baltimore Orioles in 2009. Even though, they have locked up 2B Brian Roberts and RF Nick Markakis to well-deserved long term contracts, the rest of the team seems to be named later in the package marked “potential”. One of the prospects that may make an impact sooner than later is Catcher Mark Wieters. He should make a splash by mid-season if not sooner. Exciting times are coming, just not in April. The pitching for the Orioles is not too promising. Although, with former Indian Jeremy Guthrie and newcomer Koji Uehara, things could be interesting. The rest of the rotation is shaky. George Sherill is a solid closer but getting to him will be a problem. With this division, the Orioles may be headed for 100 plus losses early and a fifth place finish. The Toronto Blue Jays will still have Halladay. However, without A.J. Burnett whom they lost in free agency to the Yankees. I can’t see this rotation doing much to keep this team competitive for 2009. Halladay will feel the pressure to go out and win each and every time he takes the mound. The rest of the rotation will be around .500 or below in terms of wins. With this combination, I can see the team losing 90 plus in this division. The bullpen must improve to keep the team in games. Hopefully B.J.Ryan will reemerge as a top closer to keep the Blue Jays close. However, most likely, the offense with the emergence of Travis Snider, the return of Aaron Hill and the aggressiveness of Cito Gaston. Hopefully, the Blue Jays can stay healthy and put up a good fight. However, in the AL East, 4th place is the best they will do. The next three could all finish first depending from which perspective and angle you cover. I myself pick the teams this way and will probably look back as with the other divisions and say “What was I thinking?” This happens every year. For third place, I select the Tampa Bay Rays. I just think the Rays are young now with the pressure added to repeat as American League champions. Everyone won’t see them as the underdog anymore. The addition of Pat Burrell does not do much for me to say this team is legit for a title when the Yankees and Red Sox did much to improve their chances this year through free agency. I think therefore they will crack under the pressure, not play so loose and finish 3rd in the division as a result. The next two will be represented in the playoffs as the AL East Champion and the Wildcard. Either one could win. However, I will share some personal thoughts here. I think CC and A.J. are talented and will add sincere depth to the already talented rotation. Mark Texieria is typically a slow starter. CC chokes under pressure and I have seen A.J. lose close games before also. It will be interesting how CC will respond to the pressure of New York and being the ace of this staff. I see their bullpen as the weakness.With the loss of A-Rod for awhile, the distraction of Joba and the lack of Joba in the bullpen may play a part in seeing the Yankees battle with the Rays for the second place Wildcard spot. I don’t think they will win the division for 2009. The Red Sox will be challenged, no doubt about it. I think the rotation was boosted with great depth and this will definitely benefit Boston down the stretch. I like Beckett to have a rebound year. Also Brad Penny and John Smoltz will add great rewards for the Sox rotation at low risk. They addressed any issues in the bullpen with Takashi Saito and Ramon Ramirez. Then there is the offense which is stocked full of both young talent and viable veterans as well as the addition of Rocco Baldelli. 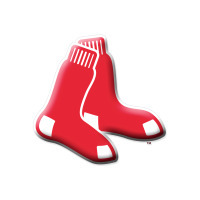 All in all, although it will be tight, I think Boston will prevail as 2009 AL East champs. What do you all think? Thank you one and all for your support for me in keeping me at #48 on the latest leaders list for fans of MLBlogs.com. Today I want to dedicate this ranking to a player on the Tribe the year my wife was born and the year I was born. For us, baseball is a family affair. That person was Sudden Sam McDowell. Sudden Sam McDowell played for the Cleveland Indians from 1960-1971. For the Tribe, he was a 20 game winner in 1970, He was a six-time all star. He is second all-time in strikeouts to Bob Feller for the Cleveland ballclub with 2159 strikeouts. 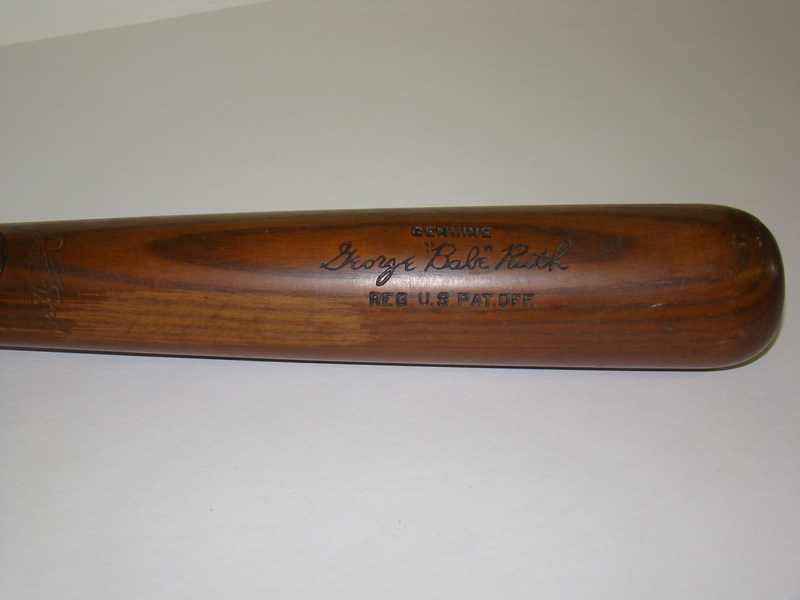 He also played for the San Francisco Giants, New York Yankees and Pittsburgh Pirates. He is current #34 of the Top 100 strikeout pitchers of all time with 2,453 K’s all-time. His greatest achievement happened off the field as he was able to admit he had a drinking problem and checked himself into rehabilitation. He then earned a degree to be in sports psychology and addiction and went on to be a sports addiction counselor with the Toronto Blue Jays and Texas Rangers. He even earned a World Series ring while working as part of the 1993 Blue Jays.The character of Sam Malone, the alcoholic ex-Red Sox pitcher portrayed by Emmy Award winning actor Ted Danson in the television program Cheers, was based on the baseball life of McDowell. This information is inspiring to me because he is a man that was caught up in fame, admitted and overcame his addictions and has lived a productive life. We all can be inspired by Mr McDowell to overcome our present situations and strive to make the best of what seems like impossible odds by turning our lives over to a higher power and trusting that life can and will improve for all of us no matter what life holds. Thank you Sam for your example on and off the field. Interestingly enough, his last playing year was 1975, the year my sister was born. Like his nickname Sudden, I received some sudden but exciting news as my sister announced she is engaged. I hope and pray for her life ahead and welcome her fiance as part of the family.